The "Conga" will come to an end on Broadway. The bio-musical On Your Feet! is set to close on August 20 at the Marquis Theatre. By closing, On Your Feet! will have played 34 previews and 746 regular performances. 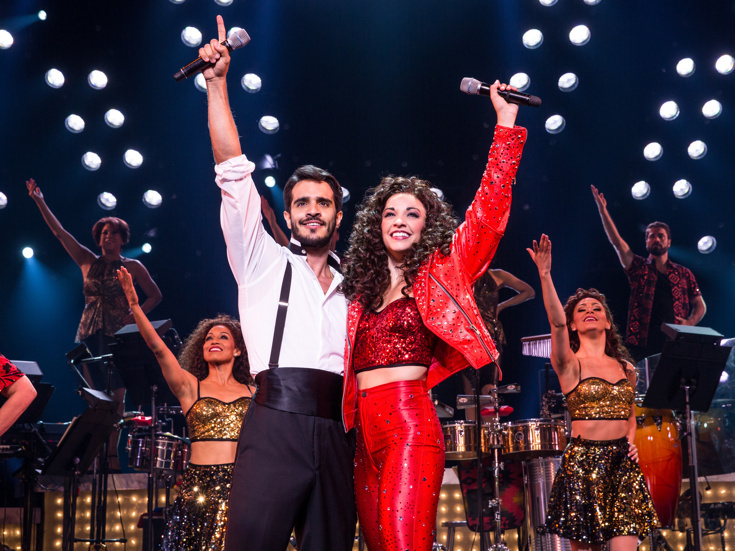 Directed by Tony winner Jerry Mitchell and starring Ana Villafañe as Gloria Estefan and Ektor Rivera as Emilio, the tuner started previews on October 5, 2015 and officially opened on November 5, 2015. On Your Feet! will kick off an 80-week national tour in the fall of 2017, launching in Buffalo on September 22 at Shea's PAC with a grand opening set for Miami's Adrienne Arsht Center on October 5. The tour will continue through October 7, 2018, finishing up at San Francisco's Golden Gate Theatre. The musical will make its international premiere in Utrecht, Netherlands on October 29, 2017. Additional worldwide productions are planned for Spain, Italy, Germany, France, Mexico and Japan. On Your Feet! features a book by Alexander Dinelaris and Tony-nominated choreography by Sergio Trujillo. Scenic design is by David Rockwell, with costume design by ESosa, lighting design by Kenneth Posner, sound design by SCK and projection design by Darrel Maloney. In addition to Villafañe and Rivera, the current Broadway cast includes Doreen Montalvo as Gloria Fajardo, Alma Cuervo as Consuelo and Madison Elizabeth Lagares as Little Gloria.